Hello Stampers! It's time for another Global Design Project challenge! It's been awhile since I participated, and I am so excited that I found time this week to create this gorgeous card for my entry. 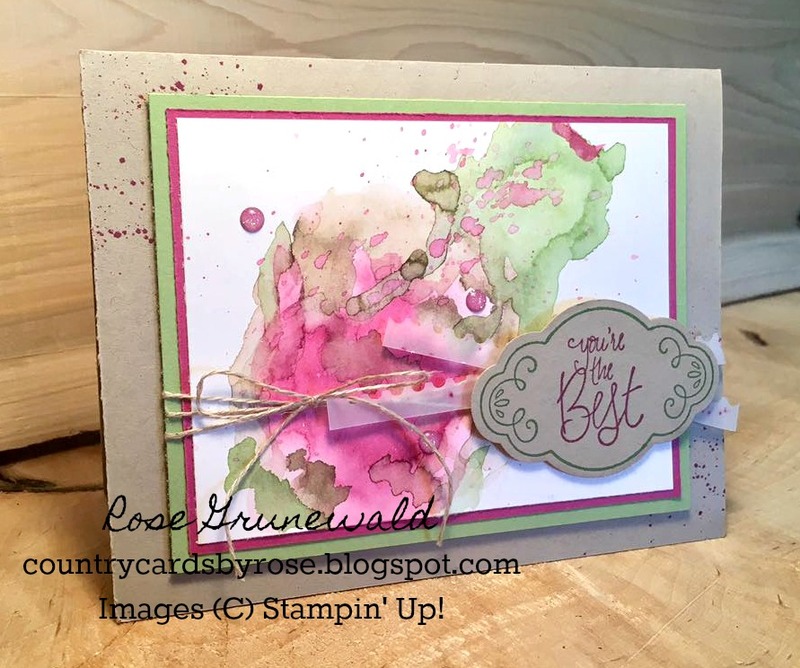 The challenge this week was to use Crumb Cake, Wild Wasabi, and Berry Burst in our project. You can read more about the challenge clicking below. As soon as I saw this week's challenge was a color challenge, I knew I wanted to try using a watercolor wash background. 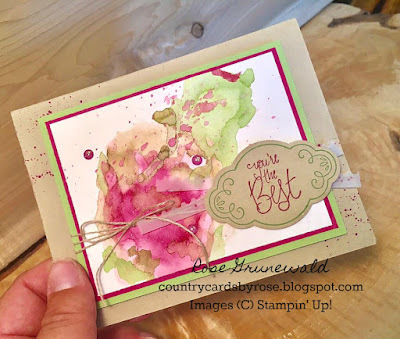 I love how these challenges stretch my creativity because this color combination is not one I would typically think to use in a watercolor wash, but I think it turned out just beautiful, don't you? I used Shimmery White paper for my watercolor wash canvas. I find it easier to get the rough edges when using Shimmery White paper instead of watercolor paper. The key to a good watercolor wash is LOTS OF WATER! Before I added any ink, I got my paper good and wet with my aqua painter. You also need to make sure you completely dry each color layer before moving on to the next. After completing the watercolor and adhering my layers, some linen thread helped to add some natural texture to the card. I used the new Ticket Tear Border Punch with some Vellum to soften up the layers behind that pretty label. I think that Vellum adds just the perfect touch. 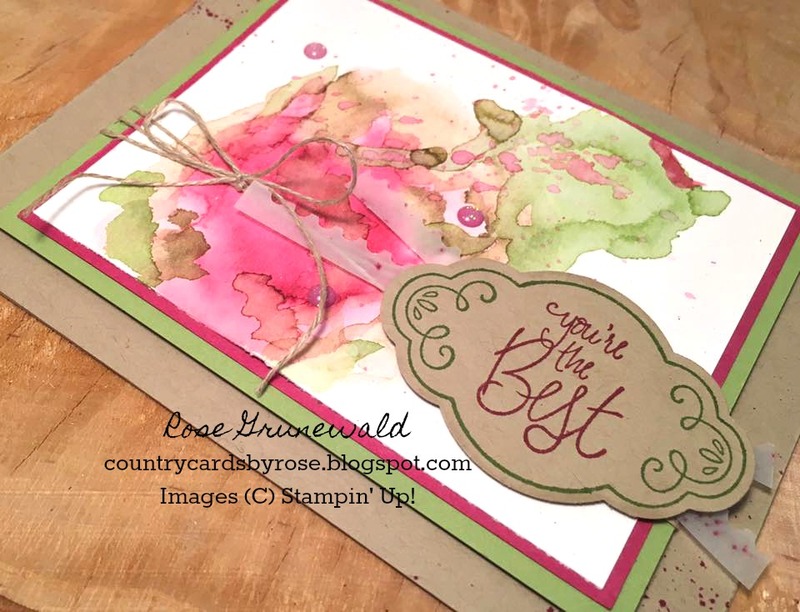 Some marker spritzing with a Berry Burst marker on the Crumb Cake card base helps to tie all the layers together.